Hebden Bridge Arts Festival - Where all the Town's a Stage! 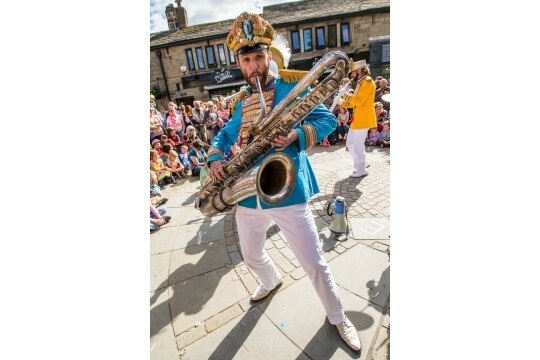 In 2015/6 over 20,000 people experienced an event at the Hebden Bridge Arts Festival. Almost half of the events are free for the whole community to enjoy. 57% of audiences were from HX7 with the remaining 43% from Lancashire Yorkshire, Manchester and Poland! Over 40 volunteers gave their time and energy to make the festival happen. In a survey of festival audiences the sense of community created in the town was the most cited reason for why people support the Hebden Bridge Arts Festival.